So I’m in the shower, thinking (it’s where I do my best thinking), when I realize I haven’t heard anything from the editor for the last magazine piece I did. It’s my first time writing for her, I’m contractually obligated to respond to the magazine’s request for revisions by Day X and today is Day X but they haven’t requested anything. This is kind of a problem because 48 hours after Day X, I’m headed out of town. Out of the country, actually, to what the general population would refer to as a third world destination, so I’m not banking on reliable Wi-Fi. And I have to tell them thank you but no because I will be on a press trip in El Salvador! I’m writing about all of this for two reasons: I know that a lot of folks who read my blog and know me personally are concerned that I’m not a very happy person. Well, I am very happy right now. And it makes sense. I’ve known since I was 12 years old that my life’s purpose is to write but I’ve spent 15 years distracting myself with other things for fear of failure. Now that I’m refocusing, my life is very quickly and very wonderfully taking a turn for the better: financially, professionally, romantically, and so on. But the other reason I’m writing about all of this is because it’s not just happening to me. I have a collection of girlfriends, mainly from college and from high school or from the dance community, who are just like me: single and childless but, damn, let us show you all of the stamps in our passports. Let us show you our graduate degrees, because we’ve all got them, every single last one of us. We are also all teetering on the edge of being “almost 30” and we’re all well aware of it. But in our case, although there is admittedly, a lot of that going on, there is also a freedom. A license. An expectation. Of ourselves. I am almost thirty. I can ask for a raise. I am almost thirty. I don’t have to take that job just because they offered it to me. I am almost thirty. 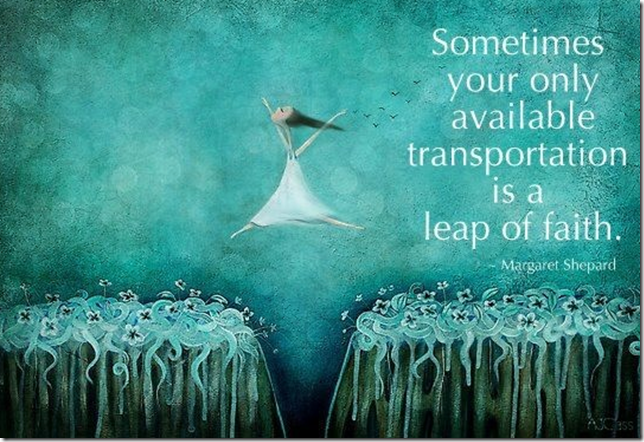 If now’s not the time to take a leap of faith, when is? And so we are leaping. We are negotiating, pitching, applying, buying houses, moving across the country for new jobs and slowly but surely shedding our old skins. I remember my mom reading “Reviving Ophelia” when I was kid, and doing her best to guard against the onslaught of self doubt that affects most adolescent girls. I wonder if there is a similar book for 20-somethings, and if there isn’t, there should be because when I get off the phone with my girlfriends, feeling so proud and happy for them, I wonder: where the hell have these brilliant women been for the past decade? What the heck was wrong with us? BRAVO, to all the New House Divas! Life becomes so much clearer as you age, the problem is no one talks about this, you do begin to become wiser, you have been through this or that and survived, figured out how to navigate, etc. Getting older is so undervalued, which is a crying shame, I love being in my 50’s, loved being in my 40’s and I KNOW I will love my 60’s too, you shed so much crap as you get older–yes, shedding…as you mentioned. Great piece! You have not been “distracted” for years, you have been accumulating experience and knowledge to help you write better. Otherwise how should we would feel those of us who “distracted” you?! !